Like countless bands before and after them, Dropping Honey first came together as three university students keen to make a bit of noise. Forming in '97, the original Dropping Honey line-up consisted of Damien Lane (vocals/guitar), David Lee (bass) and Sam Rice (drums). Lane had already been playing in Pounderhound who were beginning to wind down their operations. When Pounderhound played their last gig at the North Gong (with Dropping Honey in support) Lane was able to focus his energies on his new project. In late '97, a clash of personalities saw Lane replace Rice with Darren Ireland (brother of Tim Ireland - Pounderhound/Gilded Kiln), and add guitarist/vocalist Jolyon Pagett from Sydney. Heavily influenced by the shoegazing scene, the band sought to recreate the wall-of-noise of My Bloody Valentine, Ride and Swervedriver, as well as indie icons Sonic Youth, Pixies and The Cure. The band laid down it's first recordings in '98 with the Flightless single, and began getting regular gigs locally as well as the odd excursion to Sydney. 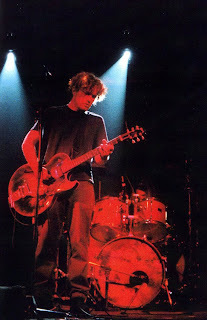 The band re-entered the studio in '99 with local engineer Ed Lee and recorded the six-track EP, Underfoot. Though a solid first release, the band would later regret the release stating that the "rockier elements were unrepresented." The crowds didn't seem to mind though, with the launch at the Oxford being one of the bands' more memorable shows. 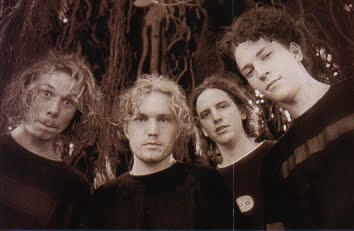 A re-recorded version of 'Flightless' was picked up by Triple J, and the band began getting higher profile gig offers supporting the likes of Eskimo Joe and Shihad. Various members began moonlighting in a number of side-projects, most notably Lane in Gilded Kiln and Ireland, Pagett and Lane in Adam Buckland's Dodgy World. It was around this time that Lane and Lee both relocated to Sydney. In 2001, Dropping Honey released their debut album, Snakes & Ladders, which received good reviews and further J airplay. 2001 also saw a few trips to Queensland supporting the likes of Giants of Science, Budd and Intercooler. Never ones to put all their eggs into the one basket, Paget and Lane formed The Figurines in 2003 - a short-lived band that also featured members of Pounderhound, Traces of Nut, and Piglet. During 2003/2004 the band entered the studio for the final time and recorded the Dreams of Broken Teeth EP. However due to Lane and Pagett relocating to the UK, the EP was mixed but never released. When Lane returned to Australia in 2005, Dropping Honey played a handful of shows as a three-piece including album launches for Adam Buckland's Dodgy World and Tinderbox (featuring original Dropping Honey drummer Sam Rice). Whilst in the UK Pagett and Lane gigged as a duo. Pagett remains in the UK and performs in Complete Radio Silence. Lane also continues to accompany longtime friend Tim Ireland as a guitarist/multi-instrumentalist. Ireland's releases include Down In The Well and Pseudo-Science. 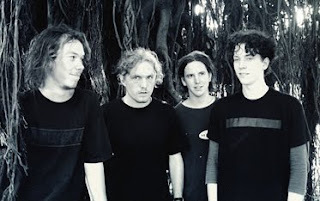 *Update: In December 2010, Dropping Honey played a reunion show at The Patch (Cabbage Tree Hotel), alongside The Nice Folk, Mind at Large and Yardvark. Despite initial intentions of this being a one-off show the band were invited to play a couple of Sydney shows with the reunited Tumbleweed. Thanks to Damien Lane for his assistance with this post.